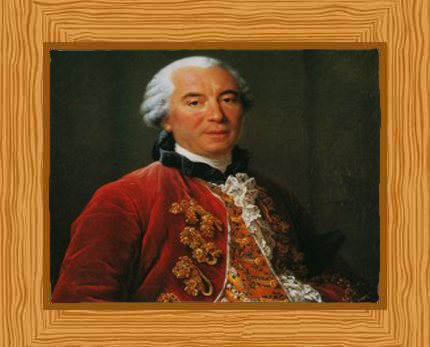 Georges-Louis Leclerc, Comte de Buffon was a mathematician, naturalist and authored extensive works on natural history. Georges-Louis Leclerc was born on September 7, 1707 into a wealthy family in Montbard, France. His father was Benjamin Francois Leclerc, a local official who was in charge of salt tax and his mother was Anne Cristine Marlin who was from a family of minor local officials. Marlin, unlike other women at that time, was a very curious woman and was fond of learning about new things. This trait caused Leclerc to often claim that his curious and intelligent disposition came from her. He was named in honor of Georges Blaisot, his godfather, an uncle of his mother who was employed as the Duke of Savoy’s tax collector. Upon his death, he left a considerable amount of fortune to the Leclercs as he himself remained childless. The Leclercs then bought an estate that gave George’s father the title of Lord of Buffon and Montbard. From then on, he was known as Georges-Louis Leclerc de Buffon. The family moved to Dijon into a new mansion when his father became an advisor in the Parliament of Burgundy. Georges-Louis Leclerc de Buffon inherited the entire estate when he turned 25. Because they were wealthy, Leclerc never lacked the education that was considered a privilege for other children his age. He attended the Jesuit Institute College des Godrans where he studied mathematics. He immediately showed a high degree of curiosity about almost everything he learnt and often found the need to question ideas that were taught to him. Despite his obvious passions, his father insisted that he study law, which he commenced in 1723. He then attended Angers University in 1728 where he continued studying mathematics and also studied medicine and botany. In 1752, Leclerc married Francoise de Saint-Belin-Malain. She bore him one son in 1764, who died by guillotine in 1794. The marriage lasted for seventeen years when she died in 1769. In 1727, while still attending College des Godrans, Leclerc learned about the theory on binomials and its formula that gives you the power of any binomial without having to multiply a long series of numbers. The same year, he theorized that the sun’s collision with a comet caused the formation of its surrounding planets. This has of course been proved to be incorrect, but his views marked a new era in science. He had developed a pioneering theory about the creation that did not involve a divine explanation. Leclerc did not restrict himself to specific fields of expertise. He explored different aspects that surrounded plant physiology, physics, astronomy and even ship construction. With each field of learning also came a lot of questions from him, as he analyzed and doubted a lot of the dogmas that were believed in and taught during his time. He recorded his discoveries and theories in a series of writings that discussed everything from the body structure and living habits of bats from South America to discussing the possible causes of being cross-eyed, a condition scientifically known as strabismus. Indented to be 50 volumes but consisting of a massive 36 completed volumes all in all before his death, the entire collection was called “Histoire Naturelle, Generale et Particuliere”, (Natural History, General and Particular). The series was written as a form of encyclopedia and was completed over a 37-year period from 1749 to 1786. A solid believer in organic change, Leclerc was not entirely able to discuss how these changes occurred and how they were completed. He published a set of writings called “Les Epoques de la Nature” in 1788 which again became controversial because of the way he openly contradicted the church’s claims that the world has been in existence for 6,000 years. He theorized that planet Earth had been around for much longer. In 1777, Leclerc decided to perform an experiment by dropping a needle on a lined piece of paper or floor. This experiment showed how the probability of this needle crossing any of the lines on the floor or paper is in direct relation to pi’s value. This experiment on geometric probability is now famously called “Buffon’s Needle”. Twentieth century biologist Ernst Mayr was quoted as saying that Leclerc was the first one to point out many of loopholes in the way evolution was taught. Leclerc was also seen to have brought about the early stages of comparative anatomy because of his beliefs in the unity of type. He made the first correlation between parent and child, saying that there are traits that are passed onto the offspring. Leclerc translated “Fluxions” by Isaac Newton into French in 1740 and also translated “Vegetable Staticks” by Stephen Hale in 1735. His affinity with natural science was rewarded with the appointment as administrator and director of the finest botanical garden in all of France, Jardin du Roi (now the Jardin des Plantes) in 1739. While still holding this position, he was created a count in 1773. He held this position until his death. He died on April 16, 1788, aged 80 in Paris, France. Leclerc was a popular scientist with the public during his time, but had many critics in learned circles mostly because he continuously challenged the known authorities in chemistry, biology, mathematics, geology and theology. Leclerc did not respond well to criticism either as he viewed this to be beneath his dignity.